An evening featuring solos (and maybe a duo or two) by two of Seattle’s more unusual cellists — totally different, yet somehow complimentary. Gretchen Yanover uses looping devices to perform tonal compositions and improvisations, including some favorites from her CD Bow and Cello, as well as material from her upcoming EP to be released this summer. Gretchen is a cellist in Northwest Sinfonietta, head of the Music Department at The Northwest School, and mom of a lovely 2nd grader. She continues to create and perform her own solo cello works in the spaces she finds along her path. 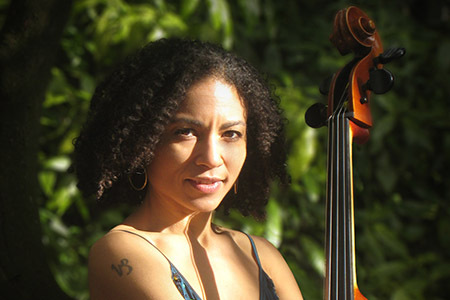 Paul Rucker (visual artist, composer, and musician) combines traditional methods with extended techniques to create his own sound on the cello. Rucker continues to evolve through years of experimentation and continuous exploration.